Signs You Are a Professional Photographer or Filmmaker. There's a vast difference between a person who picks up a camera for pleasure and a professional creative photographer or filmmaker who commits to turning pro and making their living with their visual skills. We take a look at some of the signs that mean you're in it for the money. You are prepared to invest in your business and pay for advertising. Even the biggest, most well known brands continually advertise their products and services. It is though, an investment shot in the dark. Because there’s no guarantee of any return. It is the hardest part of running any a business, a black art with no right or wrong approach. A photographer doesn’t have to, want to, or need to advertise. A professional photographer has to advertise. No clients means no business. Advertising investment can take many forms, the classic advert in a newspaper, mailing portfolio books, postcards or sending promotional material to clients, running ads on Facebook or Twitter and any number of other ways to communicate with people we want to be aware of the photographer or filmmaker's services. Each one requires an investment of cold,hard cash to make it happen. The non-pro will never empty their wallet or purse for advertising. A photographer or filmmaker in business is always out in the World to do their commercial work. This means mixing with other people both part of a shoot or just passing by. Should something awful happen and someone is injured because of the actions of the photographer or a member of their team, then all sorts of nasty legal action can kick off. Without the cover of insurance the creative may be liable to repay costs running in to thousands or even millions of Pounds, Dollars or Euros. I actually don’t know what would happen to the non-commercial photographer who was involved in one of these nasty incidents. However I imagine that most amateur photographers don’t have liability insurance. In most countries there are all sorts of laws governing the operation of a business and unless the creative is also an expert in accounting then the chances are, an accountant is taking care of tax returns and suchlike for them. This means the business has to carefully record spending and sales in order to pass these details on the accountant for all of that pesky legal stuff. The average photographer doesn’t have to worry about this. Unless of course the average photographer starts to sell their work and make money. Then they enter the realm of the professional and taxes on that lovely profit become a reality. There’s more than one camera body in your gear. 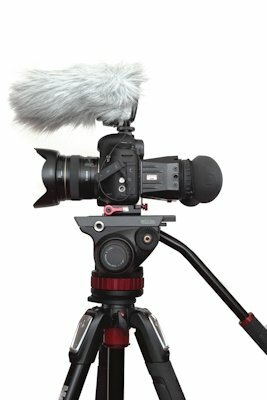 When a professional photographer or filmmaker is commissioned to shoot a job, they absolutely have to come back with the goods. No images and a bagful of excuses does not cut it with any client. One of the biggest single-points of failure is the camera and lenses. Without these the shoot doesn’t happen. This is why the pro will always take an extra body and enough lenses to cover for the potential failure of part of their gear. The non-pro can walk away from a shoot with a broken camera and nobody cares that much. The pro who leaves a shoot and returns with no images may see their reputation severely damaged and face the loss of clients, so the backup is vital. You don’t stop thinking about your business just because you don’t have a camera in your hand. A passion like photography or filmmaking can be all-consuming and that's a wonderful thing however once you take a leap in to making this a career, the business can become all-consuming too. This is not neccessarily a good thing as a lot of the things you have to do are tedious and boring but have to be done nonetheless. Accounting is one such example. Attention to detail is as important in these areas of your business life as the great enjoyable creative bits. However there's a lot of satisfaction to be had from running a business and doing it well. Honest! You take pictures because they are commercially viable, not because they are aesthetically pleasing. Chances are you now take more images for commercial reasons than you do for personal fulfilment. Stock photography in particular will drive this but with good reason. The savvy professional photographer, making money with their work, wants to shoot what clients want to buy. This probably means shooting less of the images that got them interested in photography in the first place and more of stuff that doesn’t inspire in the same ways. It’s very easy to get excited about a glorious landscape, less so about an image of a potato. However, if the potato picture puts food on the table then the pro photographer will shoot it with as much skill, patience and expertise as goes in to any image driven by a non-paying passion. You see social media as a marketing opportunity. We all know social media is a massive part of most people's online world and that's likely to include your potential client base too. Photographers and filmmakers are using sites like Instagram to push not only their work but also behind-the-scenes imagery to give anyone who's interested a look at the creative's ways of working, to show them on shoots with clients and generally promote that they are a busy visual-media business. Photographers and filmmakers are discovered through these outlets so it's an opportunity to market skills. There’s a rigorous data and image backup strategy in place. Your work is an asset of your business and losing images and data files to computer loss or hardware failure or theft is bad enough for anyone but for a person running a business, those digital assets are vital to it’s operation. Most businesses will recognise this and have backup processes in place to avoid total loss. The average photographer may also back up their files but a failure to do so with the subsequent loss of that data is not going to cause as much financial pain as it would to a business. Data protection is part of your everyday computer use. Some information held by business is subject to data protection laws and therefore must be protected. The non-professional will not be concerned by these laws but a commercial enterprise certainly will. There are financial implications to data loss which can't be ignored. Data protection is an important consideration to a commercial enterprise, both big and small. Enjoyed that article? Then you might enjoy reading these.